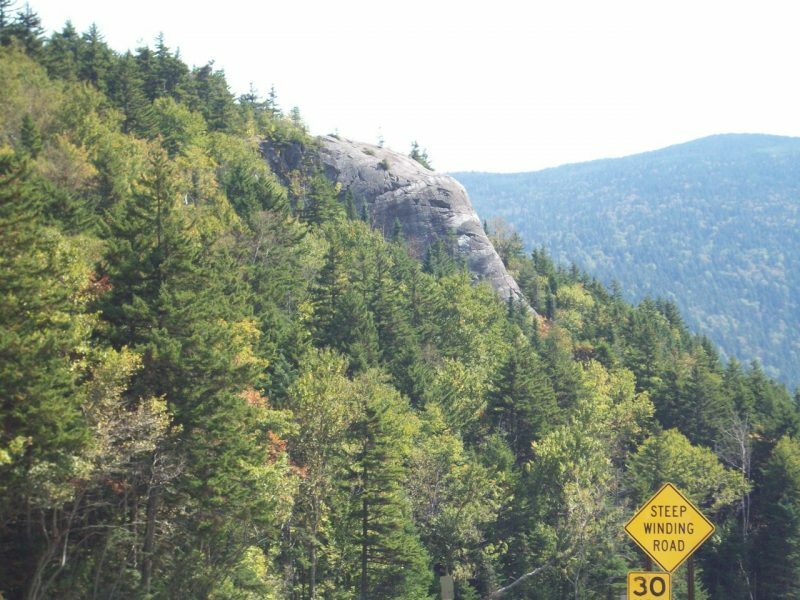 Elephant Head is a rock formation at the northern end of Crawford Notch. Seen from the north, the rock assumes the shape of an elephant’s head embedded in the hillside. 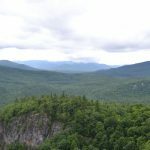 There is a short hiking trail leading to the top of the rock, from which you see a wide vista of the Crawford Notch “gateway” region. The hike starts on the Webster-Jackson Trail, which eventually leads to Mts. Webster and Jackson. Climbs moderately for 0.1 miles to the Elephant Head Spur. Turn right and follow this spur trail around the back of Elephant Head for 0.2 miles. 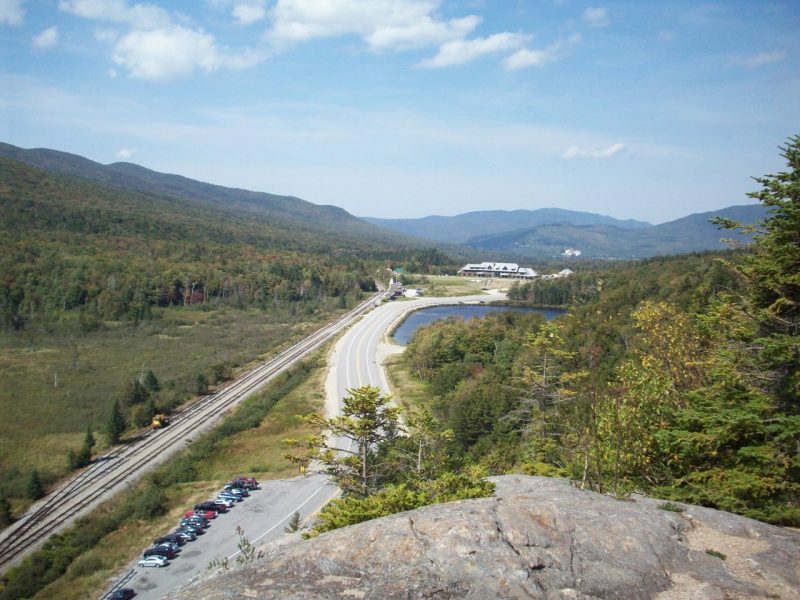 When you reach Elephant Head, you will be able to look north to the AMC Highland Center and Saco Lake from 150 feet above the road. 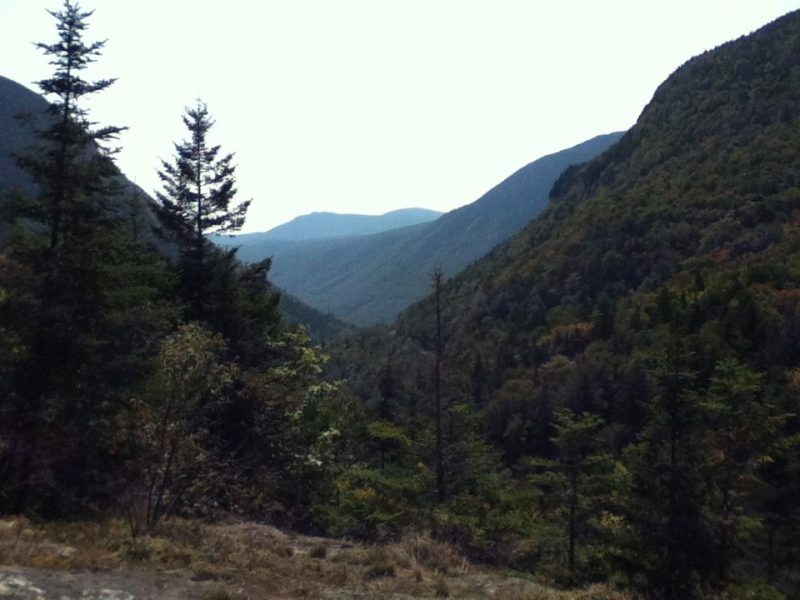 You can also see south through Crawford Notch to the Willey Range. Elephant Head is another contender for “the best view for the easiest walk in the White Mountains.” The trail leads to a sweeping view of Crawford Notch, both north and south. Park at the pull-off on the west side of the road. Trailhead is on Rt. 302 in Carroll, NH, 8.8 miles south of Rt. 3 and just south of Saco Lake and the AMC Highland Center. Park at the pull-off on the west side of the road. Cross the road and walk to the trailhead, just past the brown sign for Mt. Washington State Park.